Every now and then, I get a chance to write a sponsored blog entry about a product that my family truly loves. That’s especially true with today’s entry. When it comes to quick and tasty side dishes, we’re huge fans of Knorr’s assortment of Rice Sides (available at Giant Eagle stores). The Fiesta Sides line of Mexican-inspired rice dishes is especially popular in our house, but the main Knorr Rice Sides line-up also has plenty to offer. That line-up includes nine different flavors, like Herb & Butter, Cheddar Broccoli, and Rice Pilaf. Just like the Rice Sides, this casserole was so easy to make. How easy? 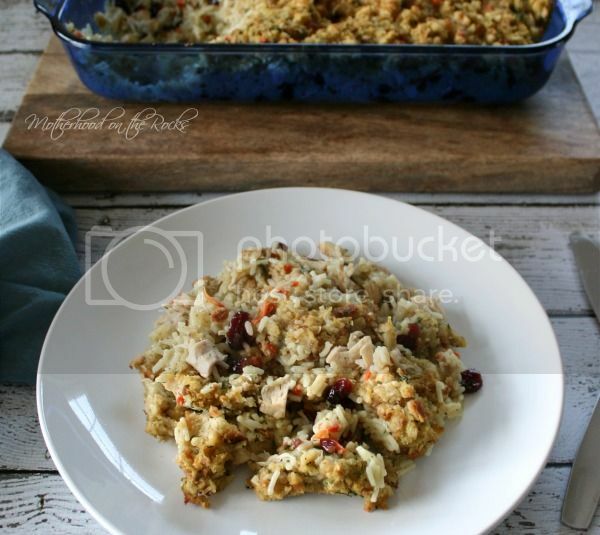 It uses just four main ingredients: Knorr Creamy Chicken Rice Sides, chicken (or turkey), dried cranberries, and seasoned stuffing mix. 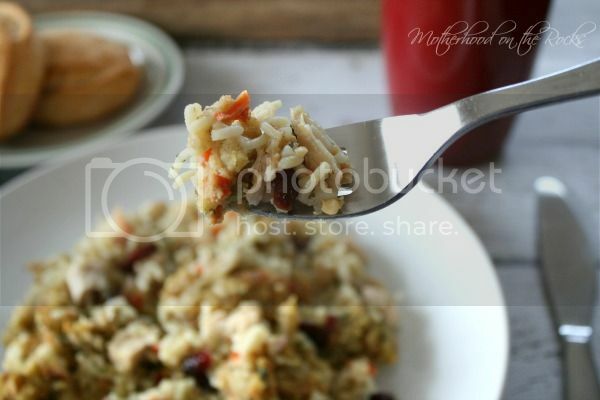 After combining the prepared Creamy Chicken Rice Side with the chicken and dried cranberries, you toss that tasty mixture into a casserole dish and top it with the prepared stuffing. Then pop it in the oven for 15-20 minutes, and it’s done! The verdict? I gave it thumbs up for being delish and easy. Our little one gave it a thumbs up because she loves anything with chicken in it. And my husband (who went back for thirds) gave it two thumbs up because Thanksgiving is his favorite holiday and this Everyday Thanksgiving Casserole stayed true to its name! Feel free to follow Knorr on Facebook for more delicious inspiration. You can also check out the recipes on their website or download the Knorr Giant Eagle Free Recipe Book for more great ideas! Preheat oven to 350°. 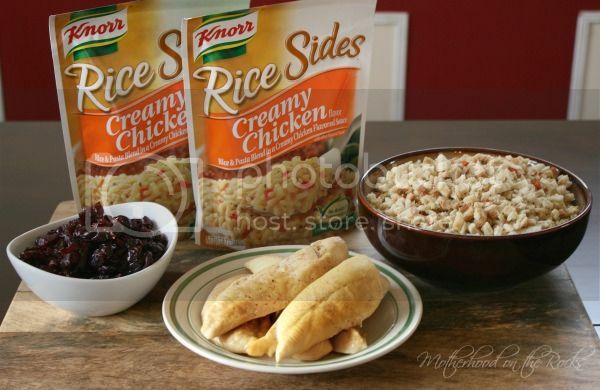 Prepare Knorr® Rice Sides™ Creamy Chicken flavor according to package directions, increasing water by 1/4 cup. Stir in turkey and cranberries during the last 5 minutes of cooking. Turn into 1-quart baking dish; set aside. Combine stuffing with 1/2 cup warm water. Pour over turkey mixture. Bake 15 minutes or until top is golden.